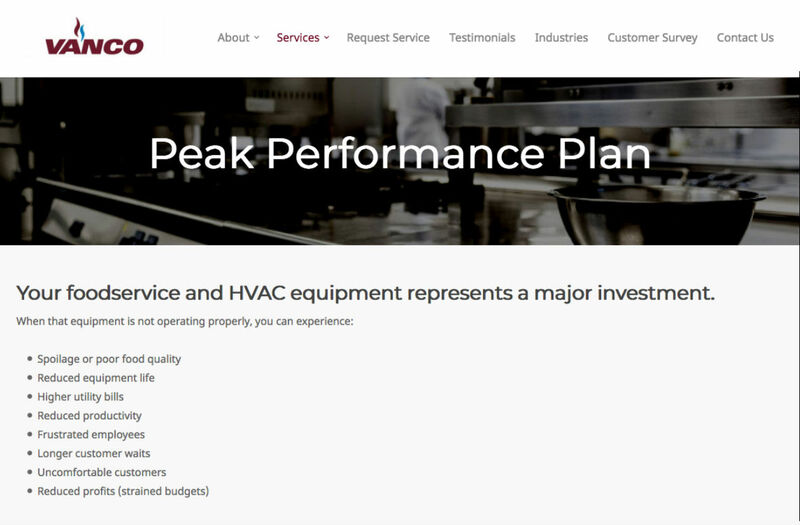 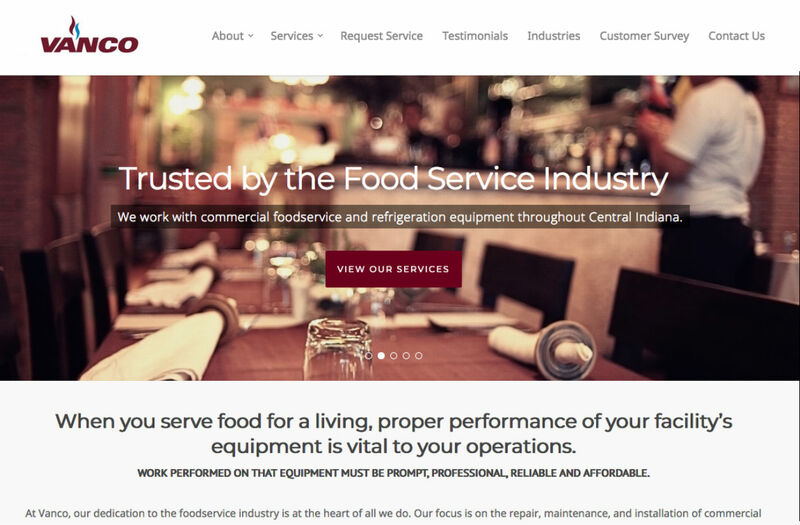 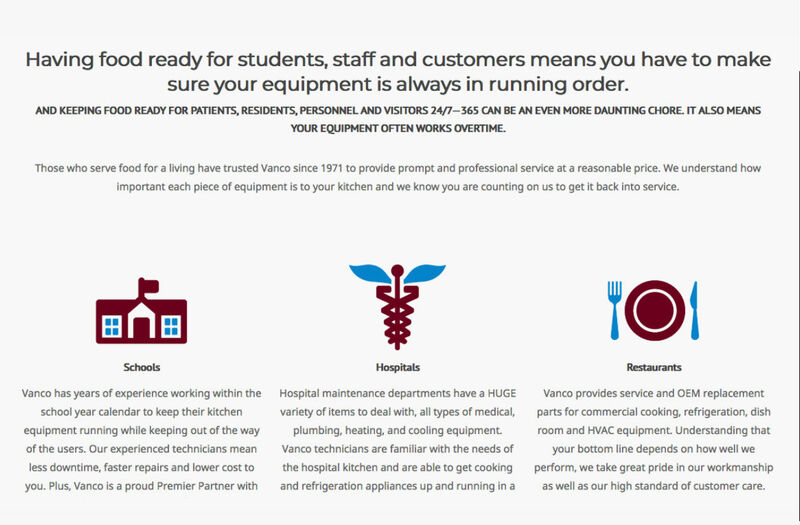 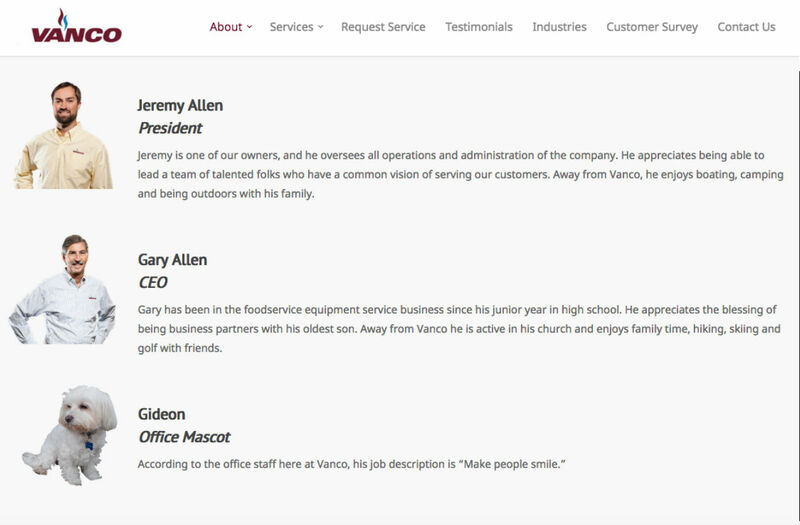 Vanco is a commercial kitchen repair company that wanted a site that represented their full range capabilities as well as their heritage. 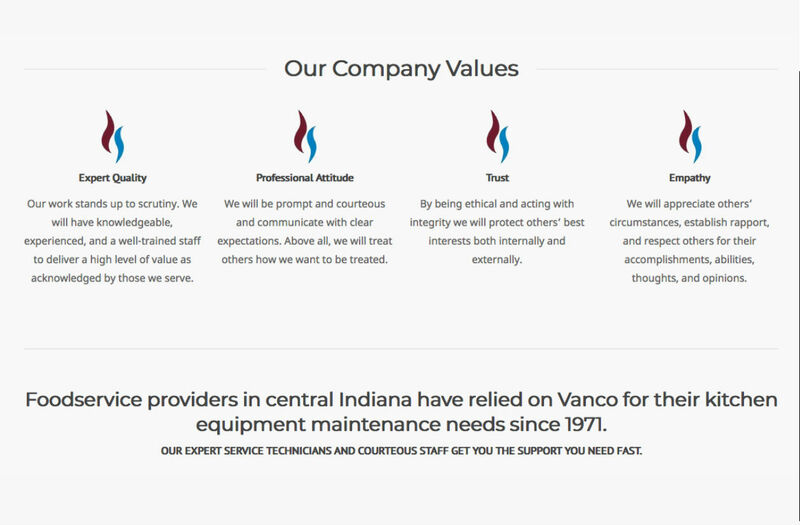 We helped build a new site for Vanco with an updated design that featured images and stories from their past, to show their longevity in the business and establish them as experts in their field. 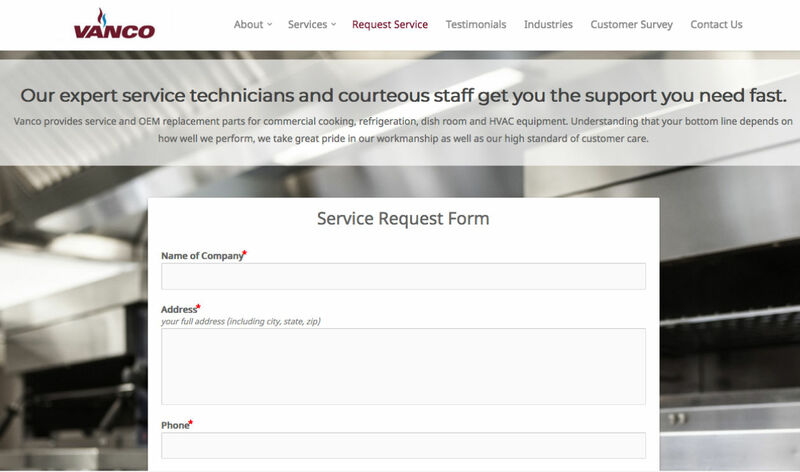 The site also included custom, mobile friendly contact forms that allow their clients submit request for help on the go.